On its face, the Supreme Court's ruling on Texas' far-reaching abortion law seems clear: House Bill 2 is unconstitutional. But the implications may not be as straightforward. Here are five things you need to know to understand the landmark ruling. On its face, the U.S. Supreme Court's ruling on Texas' far-reaching abortion law seems clear: House Bill 2 is unconstitutional. But the implications might not be as straightforward. Here are five things you need to know to understand the landmark ruling. 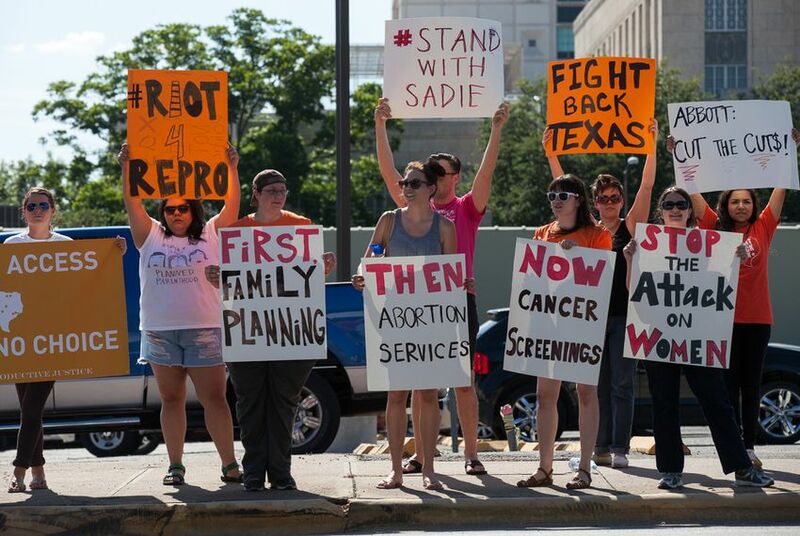 1) No more Texas abortion clinics are likely slated for closure. The 5-3 decision knocks out two key provisions of HB 2 — one that required abortion clinics to adhere to the same standards as hospital-like ambulatory surgical centers, and another that required doctors who perform the procedure to have admitting privileges at a hospital within 30 miles. Together, those measures were responsible for the closure of more than 20 Texas clinics. 2) But don't expect abortion clinics that have already closed to reopen in short order. The more than 20 clinics that have shuttered since HB 2 took effect can't just reopen for business: They'll have to reapply for licensure, which is no walk in the park in Texas. Don't expect state health officials — on the losing end of this battle — to make it easy for them. It remains unclear whether Texas' abortion clinics will ever return to pre-HB 2 levels. 3) The legislative war is far from over. Texas' GOP lawmakers don't take kindly to being told by Washington — or what they call "activist judges" — how they can or can't restrict abortion. Expect them to come back to Austin in January with a laundry list of additional ways to attempt to restrict the procedure. Lather, rinse, repeat. 4) But lawmakers may have to make a stronger case next time around. The Supreme Court ruling found that the high court has an "independent constitutional duty" to review elected officials' reasoning for passing laws, not just take their word for it. That means in future abortion cases, Texas lawmakers will probably be forced to provide sound medical evidence, not just broadly say they're protecting women's health. 5) The Texas case could have repercussions for women nationally. Similar court cases in at least three other states — including Wisconsin, Mississippi and Louisiana — will now have a precedent at the high court to help make their cases. Get the details on today's abortion ruling, and revisit the history of HB 2.